As you might know, most investors base their investment decisions on emotions, hot news stories, and the daily price movements on the tape rather than on sound logic, good research, and strong fundamentals. The problem is that few of us believe that emotions, headlines, hot news stories, and daily price movements are driving our investment decisions. To determine if emotion drove your investment decisions, look back over your investment decisions over the past three to six months, and make a note of the reason for each purchase and sale. If your trades were driven by the headlines or hot news stories or the desire to make a quick profit, then emotion was a key factor in your decisions. Once you recognize that emotions are guiding your decisions on what to buy and sell, you can then take the needed steps to become a smart investor rather than a gambler, speculator, or trader. You should choose stocks, funds, and other investments suited to your risk tolerance and investment goals and objectives. Don’t gamble or speculate. Buy good quality stocks, bonds, and funds. Hold them until they go up. Then sell them. And always cut losses before they get too deep. Be leery of the herd mentality. Don’t follow the crowd. If you buy the same securities as other people, you will have the same results as other people. It is impossible to produce a superior performance unless you do something different from the majority. In today’s markets, there is also a herd mentality toward short-term trading. It is very important to always remember that by the time an investment, sector, or group posts strong returns or you read about these strong returns in the daily newspaper or weekly magazine, there is often little advantage left to putting money in it. This quick profit and fear of missing out mentality usually ends badly. 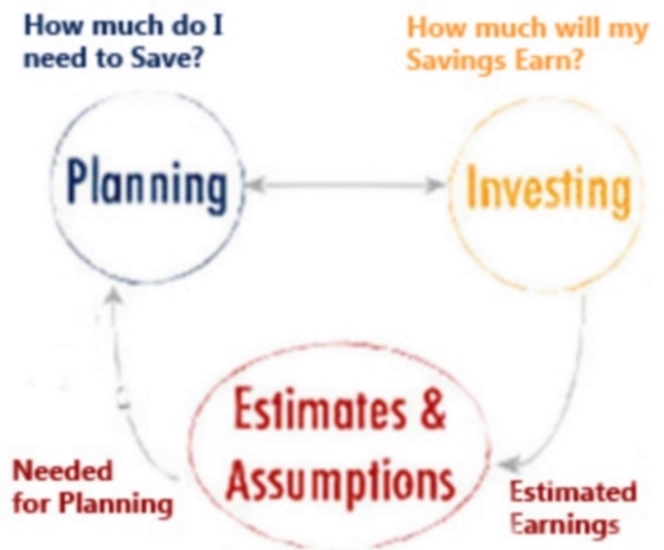 Work from an Investment Management Plan based on time-tested and successful investment strategies and principles. The fear of letting go is the opposite of impatience. This means hanging on to an investment long after you should have sold it. You should always have an automatic 7% – 8% loss-cutting rule. Check to see if you consistently hang on to shares after they rise and then fall, it is most likely that you are afraid of selling. If this continues to happen then stick with stock and bond funds that have consistently performed well in both good and bad markets. 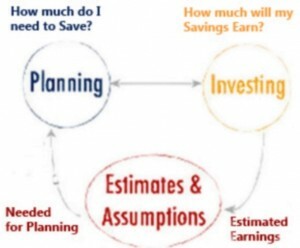 You should always have and be working from an Investment Management Plan based on time-tested and successful investment strategies and principles. Smart and successful investors are patient. It is impossible to predict the ideal time to either buy and/or sell a stock, bond, ETF, or mutual fund; but impatient investors are notorious for buying at or near the top or for selling at the bottom or just before an investment takes off. You can test your own patience. For example, are you reluctant to start reading long books, magazine articles, and whitepapers? Are you annoyed when people don’t get to the point in conversations? If these are frequent habits of yours, then you are most likely an impatient investor. When you look over your trades for the past 12 months, check the price of each position you sold three to six months after you bought it. If you frequently sold shares that continued to rise in price over the next couple months, then impatience played a major role in your decisions. Overreacting to headlines and hot news stories is more often than not a bad strategy. Don’t let headlines, events, and news stories determine your investments and/or trades. Due to timing and the disparate distribution and dissemination of information among investment houses, news services, exchanges, professional investors, and individual investors; few investors get in and out of their investments quickly enough to curtail their losses or protect their gains. Think twice and do your own research before buying or selling securities purely based on trends, financial television news shows, popular stock market/investment programs, investment information Websites and newsletters. Bear markets have always been temporary. Share prices and good investments turn upward from one to twelve months before the bottom of the business cycle. Too many investors focus on “outlook” and “trends.” Yet, more profit is made by focusing on value. Share prices fluctuate much more widely than values. Therefore, index and growth funds will never produce the best total return performance over time. Too many investors focus on “outlook” and “trends.” Yet, more profit is made by focusing on value. If you search worldwide, you will find more value and better opportunities than by studying only one nation. Also, you gain the safety of diversification. 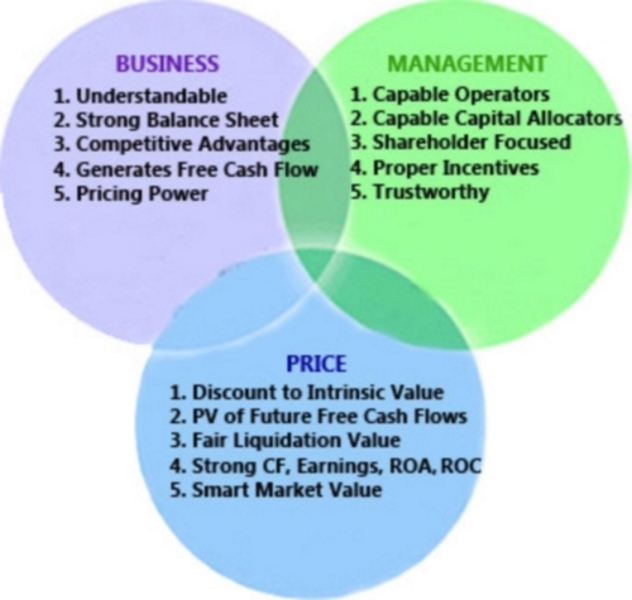 Buy relative value (i.e., book values, cash flows, sales, and earnings growth) at a reasonable price. Over-diversification is the greatest enemy of portfolio performance. Most portfolios have too many securities. 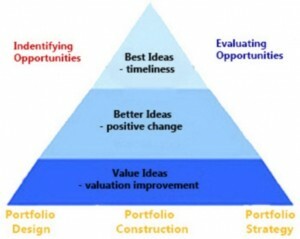 As a result, the impact of a good idea is negligible. Moreover, the greater the number of securities in the portfolio the more difficult it is for the investment manager to stay on top of developments affecting these securities. The risk of paying too high a price for good-quality securities—while a real one—is not the chief hazard confronting the average investor. Observation and experience over many years has taught me that the chief losses to investors come from the purchase of low-quality securities (poor value) at times of favorable business conditions. The investors view the current good earnings as equivalent to “earning power” and assume that prosperity is synonymous with safety. Selective asset allocation and diversification is the most important secret of successful investing. It is the only way to avoid having all your eggs in the wrong basket at the wrong time. No one has a crystal ball, but professional portfolio management increases your chances of success. If you know about it, everyone knows about it. Too many people make the mistake of buying something they know well – a chain of stores, or a product that’s doing very well. Remember the principle of doing something different from other investors – if you know about it, the chances are that everyone else knows about it too, and that means the share price will be high. Don’t buy shares when prices are at historical highs, no matter how good the company’s performance appears to be – don’t pay too much. Look for shares that everyone else is ignoring, that aren’t the rage today, and buy those you think have a reasonable chance of coming back. Buy value, not price. Rely on professional money managers. This is almost unavoidable these days if you want to do a good job with investments. Years ago there were not many companies, stocks, ETFs, mutual funds, and other factors to study. Mutual funds must be purchased selectively from the thousands available. Mutual funds have two great virtues: they provide that vital diversification, and the investment decisions are made by experts. However, not all mutual funds or experts are equal. A good track record is a lot harder to achieve than most people think. The skill factor in selection is terribly underestimated, and is most important for your portfolio. The value of a security is not what it did, or what it is doing now, but what it is going to do one, three, and five years in the future. Hope is not a strategy. Manage risk. Be proactive. Make smart decisions. Do not make hasty, emotional decisions about buying and selling securities. Weigh the pros and cons objectively. Do not concern yourself as much with the market in general as with the outlook and value of individual investments. Do not make decisions on stock market “tips” or speculation. Use good judgment and reliable research and other information. Do not make decisions on stock market “tips” or speculation. Use good judgment and reliable research. There is no reason to always be fully invested in the securities markets. After the securities markets have had a long and sizable advance, it is wise to take a few profits. Always remember that the “public” is generally wrong on investment matters. The masses are not accurately informed about investments and the markets. They have not learned a disciplined investment approach or disciplined themselves correctly to make the right choices in the right industries at the right prices. They are moved mainly by their emotions, and history has proved them to be wrong consistently. 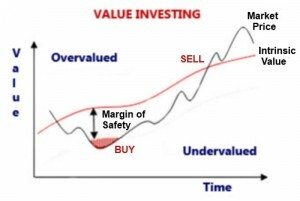 Do not follow stock market “fads” or “the herd.” When you buy securities at the height of popularity you almost always pay prices that have little relationship to their true value. Invest for maximum total return. 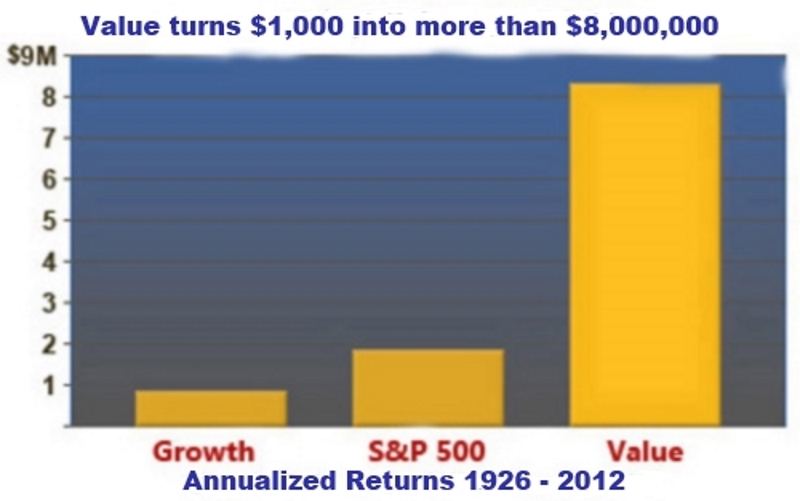 This is the return on invested capital after taxes and inflation. It is vital to protect purchasing power. One of the biggest mistakes that investors make is putting too much money into fixed-income securities. Invest—don’t trade or speculate. The stock market is not a casino. If you treat the markets and your investments like a casino, you will constantly make rash decisions, lose frequently, and be out-of-business. In addition, any returns are consumed by commissions and fees. Use an Asset Allocation strategy. Remain flexible and open-minded about investment types. The fact is there is no one kind of investment that is always best all the time. If a particular industry or investment type or security becomes popular with investors, that popularity will always prove temporary and—when lost—may not return for many years. Always search for “bargains” among “quality” companies and investments. Buy low and pay a fair or smart value for a security. Pay close attention to supply versus demand conditions in the marketplace. 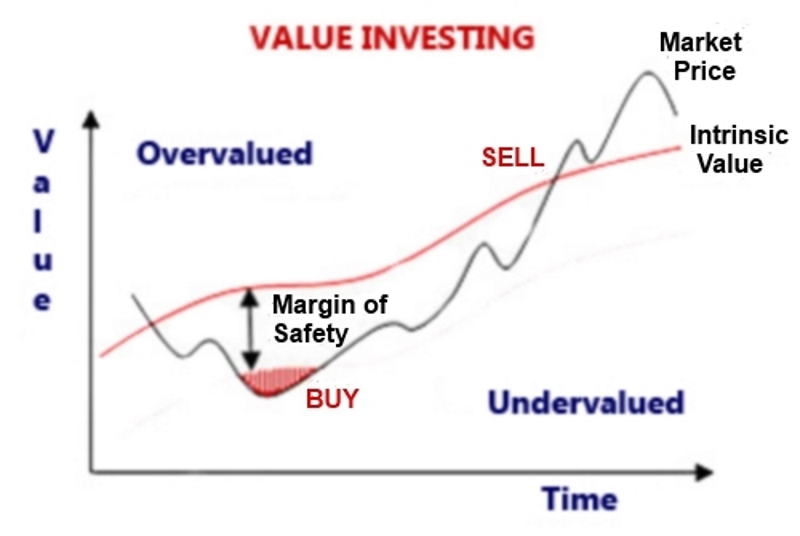 Sell high when a security has reached its fair value or your profit objectives have been met. When buying stocks, bonds, ETFs, mutual funds, and other investments, search for bargains among quality companies and investments. Always buy value not price or market trends or market outlook. While all stocks may be pulled along by a strong bull market or a rising bear market recovery, ultimately it is the good quality and fundamental stocks that determine the market, not vice versa. Do your homework or hire knowledgeable and wise people you trust to do it for you. Do your research and investigate before you invest in anything. 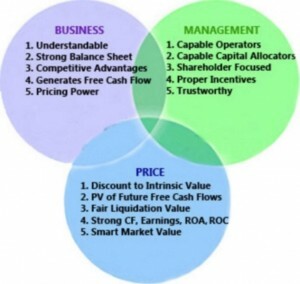 Remember in most cases you are buying the growth in cash flows, sales, earnings, and/or assets. Aggressively monitor your investments. Expect and react to change. No bull market is permanent. Bull markets end badly. Long, strong bull markets beget long bear markets. No bear market is permanent. Long bear markets are treacherous. Investors are lured back in by impressive but short-lived rallies. And there are no stocks, bonds, ETFs, or mutual funds that you can buy and forget. The pace of change is too great. Don’t panic. Be patient. The time to sell is before the crash, not after. Learn from your mistakes. The only way to completely avoid losses is not to invest at all—which is the biggest mistake of all. Forgive yourself for your errors. Don’t become discouraged, and certainly don’t try to recoup your losses by taking bigger risks. Review your portfolio, the markets, and potential investment opportunities to determine when and how to skillfully get back in. This page took 0.296 seconds to load.